Leave your home, business or commercial property sparkling clean with our Rockford carpet cleaning service! A-Keller can handle nearly any kind of carpet cleaning project, small or large. We can remove stains, restore carpets after water damage, remove odors, and much more. If you’re looking for the best carpet cleaning service at the best rates, you’ve definitely come to the right place! Here’s a little more about the types of projects we can handle. Has it been a while since the carpets in your home were thoroughly cleaned and deodorized? Then it’s time to call A-Keller! 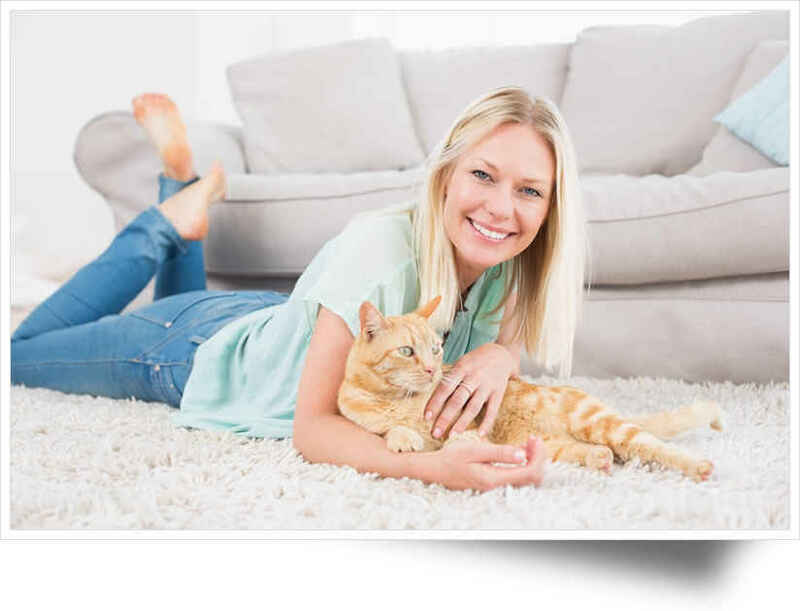 We’ll remove the stains and discolorations in high-traffic areas, and deodorize the entire carpet to remove odors from pets, kids, or frequent use. We’ll leave your home fresh and smelling great, so you’re ready for entertaining or spring cleaning! The carpets in apartment complexes and rental homes can really take a beating – and when someone moves in or out, it’s often time for some carpet refreshing. Our carpet cleaning service handles residential rental carpet cleaning nearly anywhere in the Rockford area. Count on us to remove stains and odors and freshen up your rental home’s carpets anytime! The carpets in office buildings and other businesses need regular cleanings to help you make the best impression for your clients and visitors. As a general rule, those commercial spaces get far more foot traffic – and wear and tear – than residential carpets. Work with A-Keller to take the hassle of scheduling that regular chore off your plate. Our Rockford carpet cleaning service can include doing regularly – scheduled cleanings at your commercial space – giving you the peace of mind that your building stays well-maintained, without having to stop and schedule the service every single time. So how do we manage to clean your carpets so well, every time? For the most part, we use the highly-recommended method of hot water extraction – also called steam cleaning – to remove as much dirt, grime, oil and other debris from your carpets as possible. Hot water is sprayed onto the fabric of the carpet and then vacuumed back up – resulting in sparkling-clean carpets that often look just like new! Have a job not listed here? Not sure how to handle the cleanup of a particularly challenging job? Get in touch with A-Keller today and tell us about your project. WIth our extensive experience in the industry, chances are we can help!